Fontana Waterloo Road branch now nearing completion. 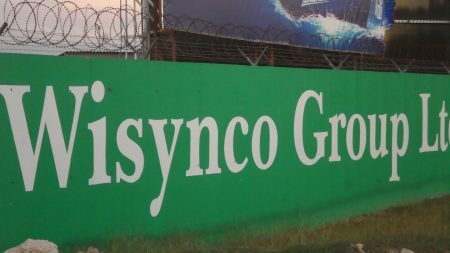 Two compelling buys this week that investors should be watching over the next few weeks, are Fontana in the Junior Market and Wisynco in the main market of Jamaica Stock Exchange. Last week, the results of a few companies were released, but only the results of Wisynco, had the potency to move the stock price, without much delay. More companies will release quarterly reports this week and they are worth watching. Wisynco reported strong half-year results to December and encountered good buying interest on Friday with nearly 2.7 million shares trading, with little price movement. Trading on Friday may have removed quite a bit of supply to help pave the way for an inevitable price rise at some point in time. The company is yet to reap the full benefit from the new production lines they installed last year and effective providing room for greater profit margin. In addition, they added sugar distribution to the product line up starting in January this year. The company is ripe to add more products for distribution could well add new brands to the lineup that will boost revenues and profit if that happens. At current price of $10.40 and with a strong increase 36 percent in profits for the December quarter, investors with limited inventory of the stock would be unwise not to add it to their portfolios. Wisynco could enjoy much increased revenues going forward as new products as added to the line up. The recent quarterly report of AMG Packaging showed a big improvement of 68 percent in profit to $16.1 million, resulted in garnering increased buying interest around the $2.50 level. The price could move higher with sellers trying to get out around $2.70 level. Elite Diagnostic rose in price this past week with increased buying interest and may go higher in the coming weeks as the quarterly results for December should show a big improvement over the $1.8 million profit reported in the first quarter to September and point to a much brighter future for this expanding entity. PanJam Investment has limited supply of the stock offered on the market currently. At the close on Friday, just 79,000 units were shown on the JSE trading platform for sale compared, to 781,000 on the buy side. The lowest offer was 51,000 units at $80. It will be interesting to see what will happen with the price during the week. Demand for Fontana shares is gradually eating away at supply of the stock with the price closing at $3.60, on Friday. The bid closed at $3.60 on Friday and the price could move higher during the week. With IC Insider.com projected earnings for the current year at 50 cents per share and the opening of its latest branch this year, the stock has lots of potential gains ahead of it. Seprod shares now trades at $34.85 each. the market and a big increase in new listings this year, investors seem more aggressive to buy into what should be another year of increased profit for the company. 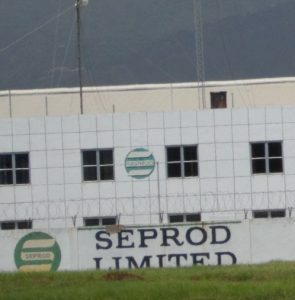 Seprod price moved up to $34.85 with increased demand for the shares continuing against the background of declining supply. The price seems poised to move even higher in the coming weeks as the stock remains attractively priced. Lasco Manufacturing’s profit for the December quarter was effectively flat at $197 million but is up 32 percent for nine months period. With EPS at 17 cents for the year, to December, there was little fire power to move the stock price during the week. The same is true for Lasco Distributors, with a 24 percent rise in profit to $157 million for the December quarter and 16 percent increase for the nine months to December, to $620 or 18 cents per share. Lasco Manufacturing with EPS close to Lasco Distributors should really see the stock price moving closer to the latter than the $3.10 it closed at on Friday. NCB Financial remains on the Watch List with strong gains in operating profit for the December quarter, but the stock is finding it hard to break through resistance at the $150 level and may need something out of the ordinary if the price is to move decidedly higher before the summer months. Barita Investments is worth watching but with the price falling, having gone ex rights during the past week.